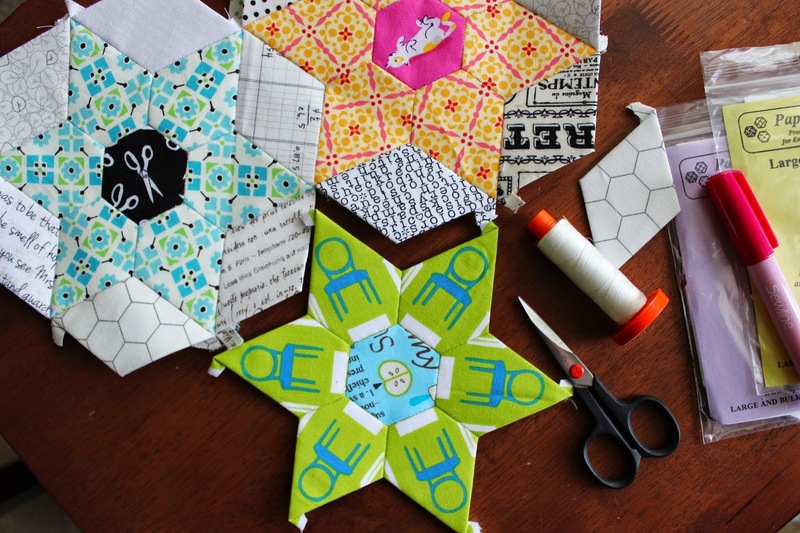 I last wrote about this (very long term) English paper piecing project three years ago. I can't believe it's been that long since I worked on it, but that's what the blog record says. I'd forgotten how fun it is to fussy cut scraps for the shapes. 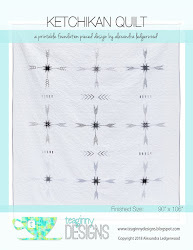 I played around with the various effects you can get from fussy cutting stripes, dots, and other motifs on your fabric. You can see lots of individual pictures of the stars in my instagram feed. 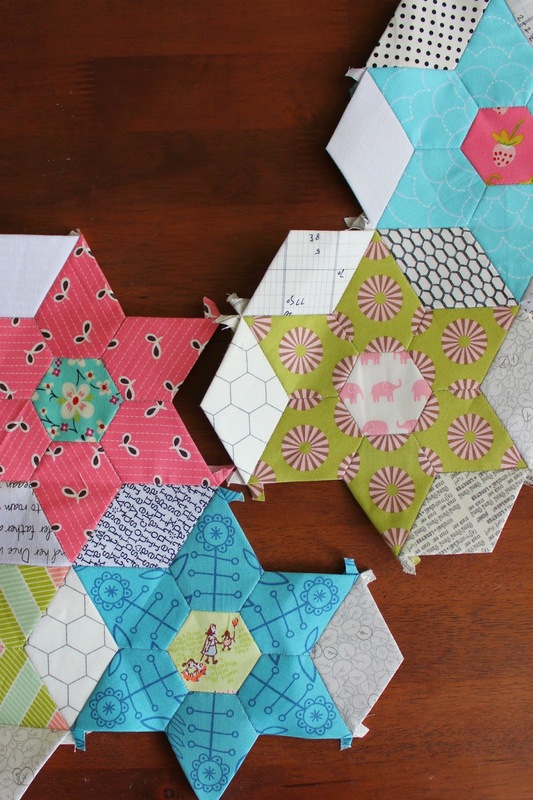 I am still using the paper shapes from Paperpieces and the Sewline glue pen. 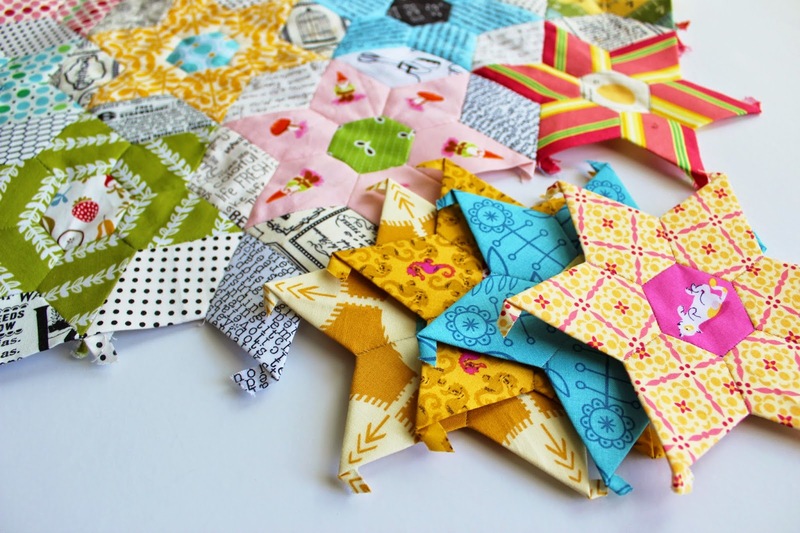 Making the jewel stars is relatively quick (I mean, this is hand sewing after all). I can make one, start to finish, including the fussy cutting, while waiting through one gymnastics class (about 45 minutes). It's nice to have a portable sewing project, especially with so many sports practices these days. Now that I have about ten stars made, I'm working on joining them to the low volume background fabrics and sewing them onto the group I made a few years ago. This step is slow going and a bit of a puzzle. Hopefully it won't be another three years before I have more to show you on this project. 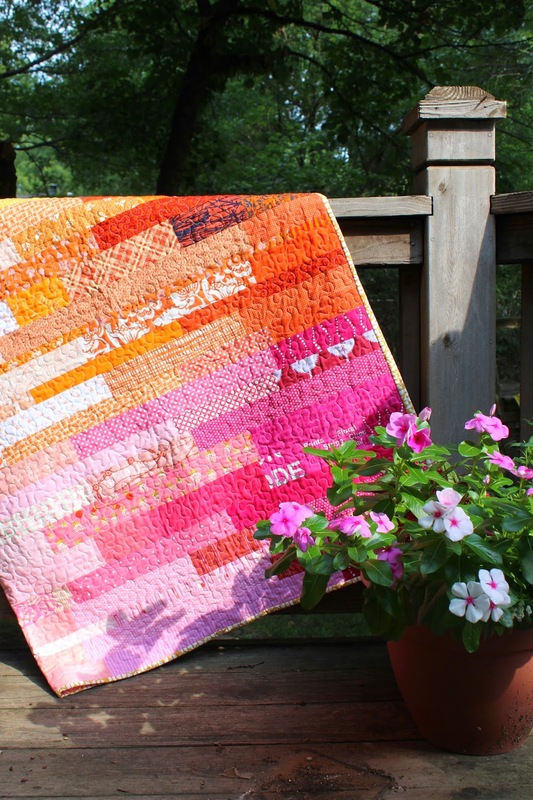 If you've been reading my blog for a while, or know me at all as a quilter, you know I love scraps. 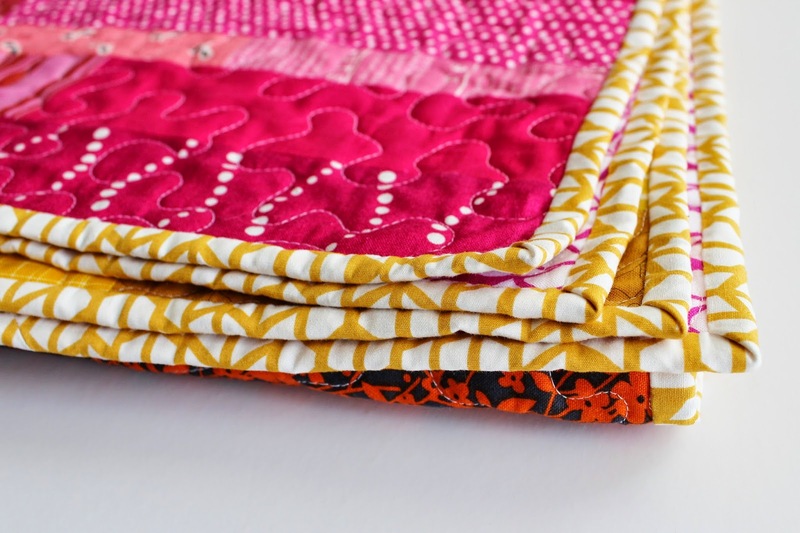 I also love improv quilting. Put them together, and I am in my favorite sewing place. 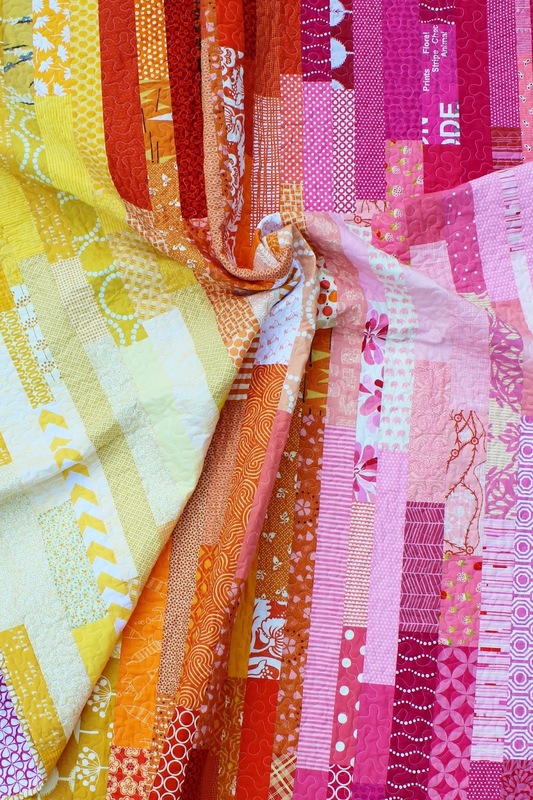 This scrappy, improv strip quilt was sewn up just for fun. I had the idea to play with value and strips again, but in a different way from Partly Cloudy. Instead of short strips used in strip sets, I sewed the strips end to end to create long, narrow columns. 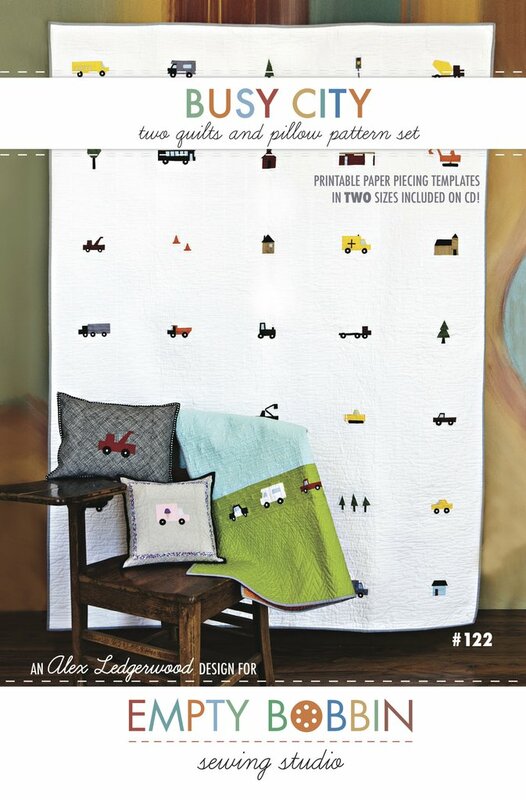 And instead of concentrating the darkest values in the center, I put them at the top and the bottom of the quilt. 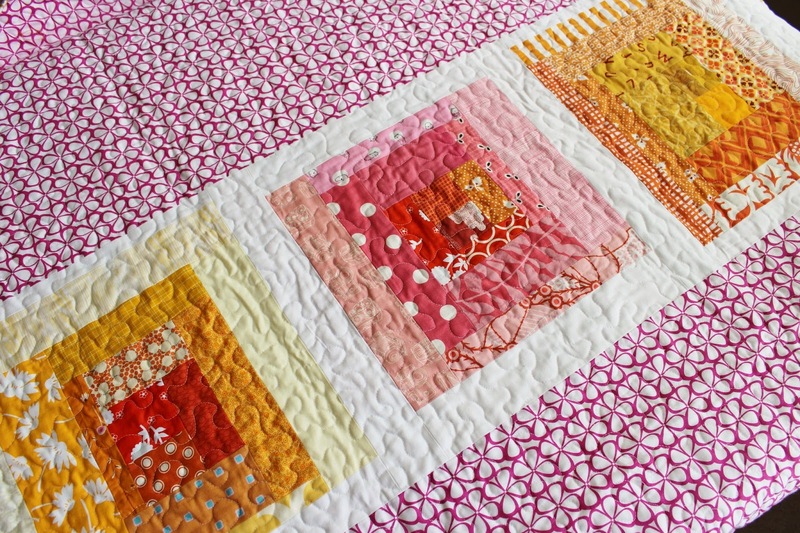 The lighter strips in the middle become the focus of the quilt. 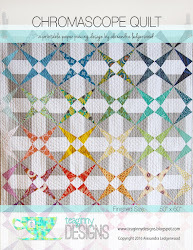 The varying lengths of the lighter strips makes the design dynamic. 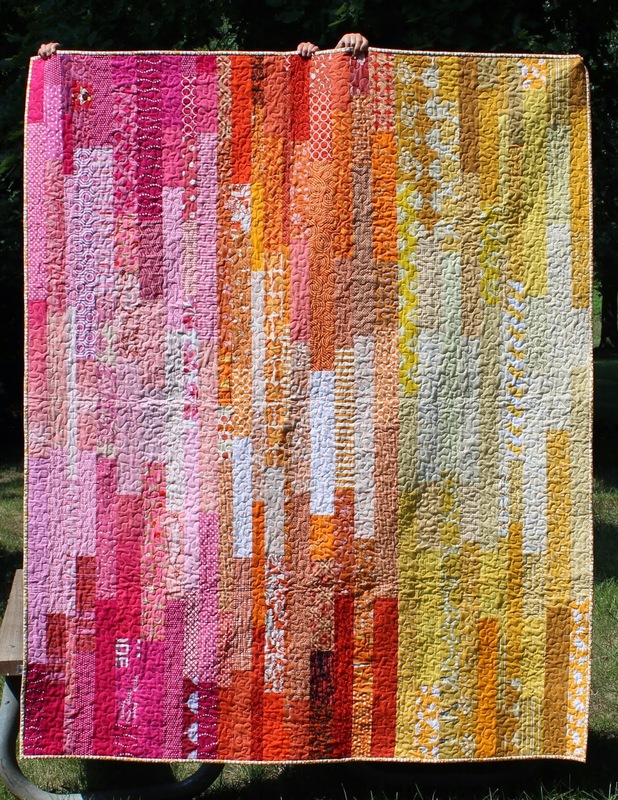 I like how the quilt moves from pink to orange to yellow as well. 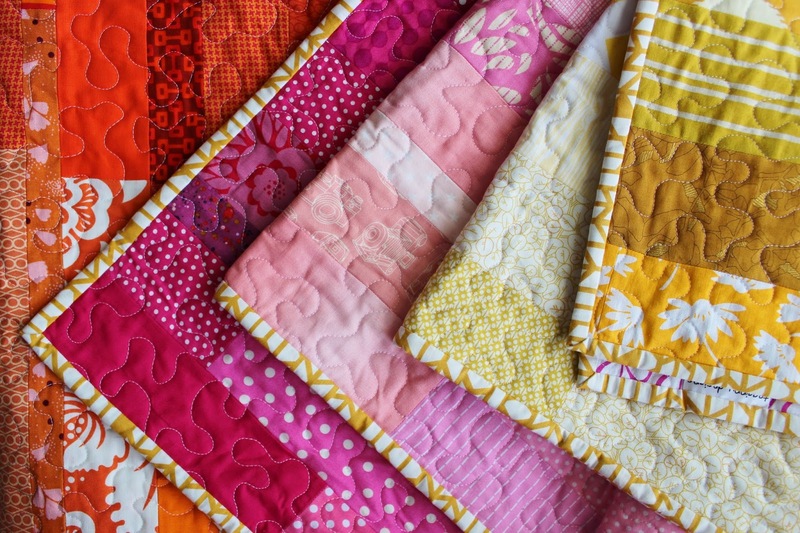 These bright, warm colors just scream summer to me. 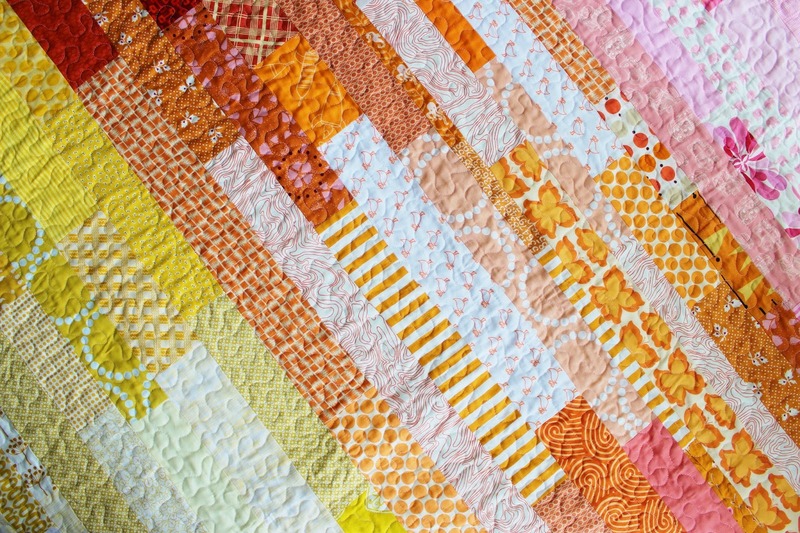 While I was playing with my scrappy strips, I sewed up a few improv log cabin blocks. They never get old! 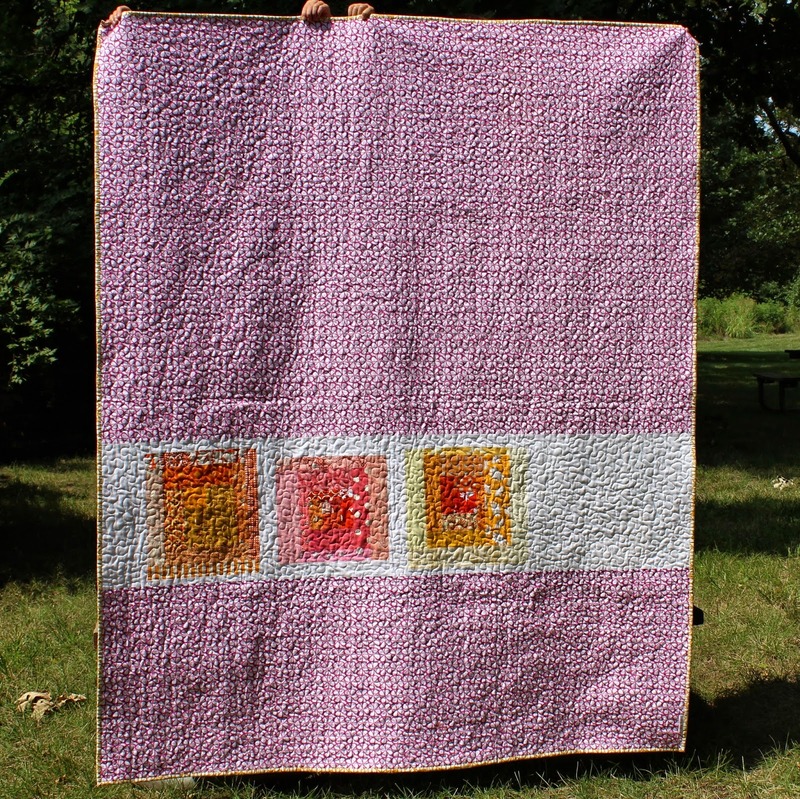 I used three of my favorite on the back of the quilt.